Buyers Ask: Will You Help Me Get Promoted? We instinctively know it to be true – buyers must look out for themselves (and their departments) as well as their departments and companies. That means the business case is just cold business logic, it has a strong personal dimension. So, the costs minus benefits multiplied by risk equation of the business case must be applied on a commercial, as well as a personal level. These are risky times, buyers are slower than ever to put their neck on the line for a risky project, product, or supplier. As buyers have often reminded us a bad decision can haunt them for a very long time. Indeed, as one buyer told us recently ‘you can make hundreds of good decisions, but you will be remembered for the bad one’. That means, as sellers, we help the buyer to reduce the personal risk associated with the decision. 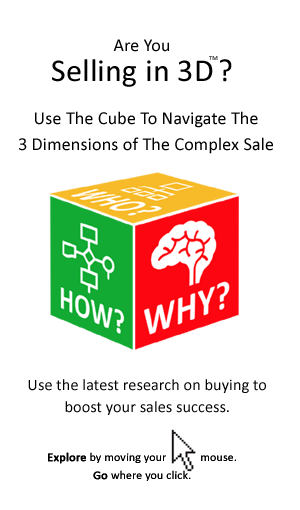 We have long been saying that the new role of the salesperson is to help the buyer to buy. But what we really mean is that the salesperson’s job is to help both the buyer as well as the buyer’s business to succeed. 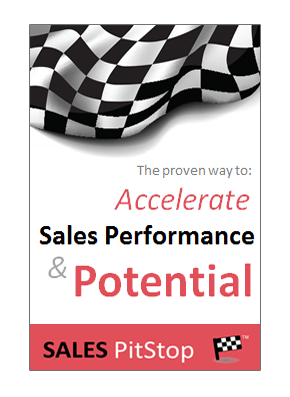 The successful salesperson must help the buyer(s) to get an A+ on his, or her report card. That means we must understand the key business metrics against which the manager-buyer will be measured. We must understand the career aspirations of the buyer and the professional opportunities and challenges with which they are faced. Only them can we facilitate not just the buying decision but also their success. Are Buyers Really Obsessed With Price?